YakGear Brand Ambassador Denny Ransom is an Iowa native with a full-blown obsession for pursuing trophy-class fish. He targets a wide variety of species but has a particular affinity for catfish, especially flathead. After years of small water fishing in ponds and lakes, one day he put his kayak in the river and a whole new world of adventure opened. Although he dabbles in tournament fishing for the sport and camaraderie, Denny’s true passion lies in road trips, under-bridge put-ins and sandbar camps. It’s all part of his pursuit to locate and catch remote river monsters. Denny is co-founder of the Central Iowa Kayak Anglers, and an active member of the Iowa Paddlers Armada, a loose collection of plastic pirates whose goal is to float every river Iowa has to offer. An accomplished angler, he currently maintains silver status in the Iowa DNR Master Angler program and is just two species from gold level — all kayak fish, all public water. 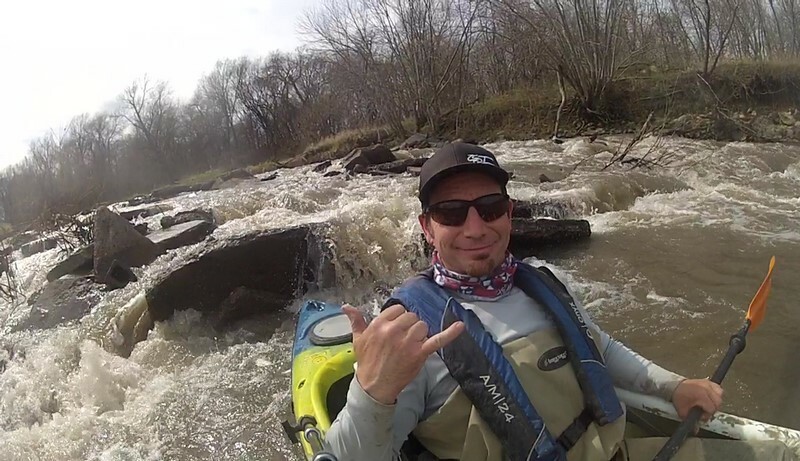 When he’s not out looking for a fight on a paddle adventure, Denny enjoys sharing his knowledge, experiences and love of the sport with others. He does this both in person at expos and other events, and online, through his social media accounts and blog.